Trainer Richard Gibson yesterday paid tribute to a horse that transformed his career following two-time Group One winner Akeed Mofeed’s retirement to stud after the stallion failed to recover sufficiently from a recent leg injury. 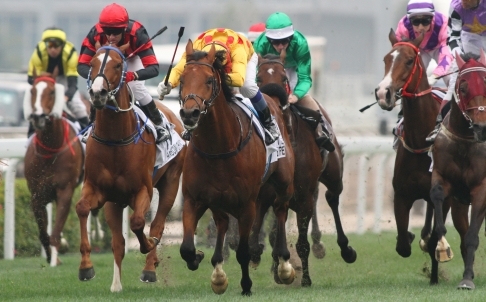 Imported as a Group Two placed prospect from Ireland, Akeed Mofeed arrived as a high-profile HK$14.5 million purchase at a time when Gibson had just established himself with a solid rookie season. 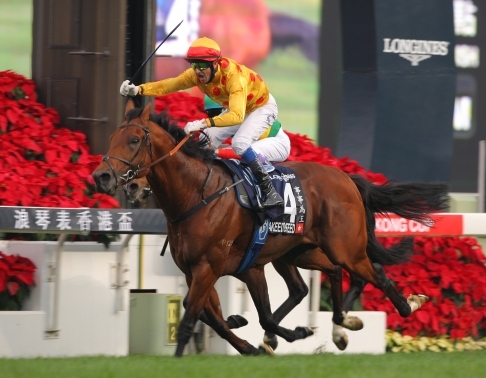 Now the stallion retires two seasons later having amassed more than HK$27 million in prize money and having won the two biggest races he was set for: the 2013 Hong Kong Derby and the Hong Kong Cup later that year. 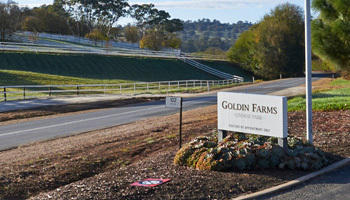 Gibson, who called Akeed Mofeed “a remarkable animal in physique, temperament and racetrack performance”, thanked owner Pan Sutong, whose Goldin Farms property in South Australia will be where the son of Dubawi will stand during the upcoming Australian breeding season. 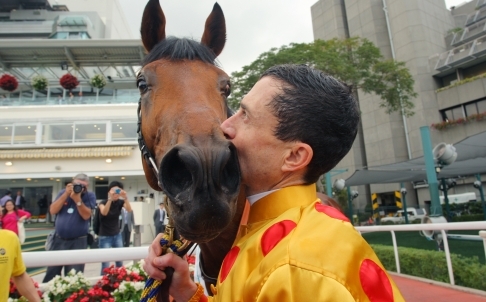 “I have to thank Mr Pan because he put a lot of confidence in me after my first season where I had won a bunch of Class Five races – and I’m grateful to him, and the horse, of course, for putting me on the map in big Hong Kong races,” Gibson said. Akeed Mofeed, who retires with a lifetime record of six wins from 17 starts, struck himself during his final workout for April’s Audemars Piguet QEII Cup and Gibson was forced to pull the pin on a planned trip to America to contest the Arlington Million in Chicago in August after a tendon injury failed to respond as well as expected to treatment. “It was a privilege to be around Akeed Mofeed because I was so in awe of his physique and temperament,” Gibson said. 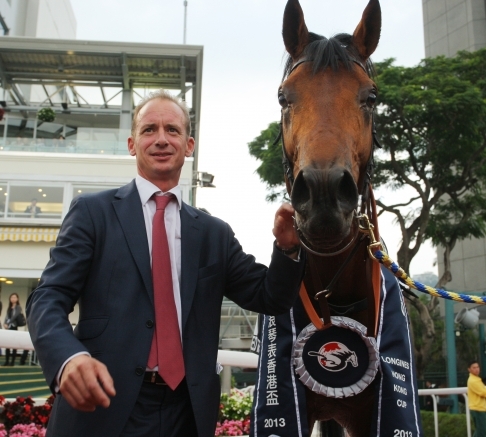 “He is ridiculously good-natured, and there have been very few successful colts in the history of Hong Kong racing and that has to be an added feather in this horse’s cap because it’s a tough place for a colt. 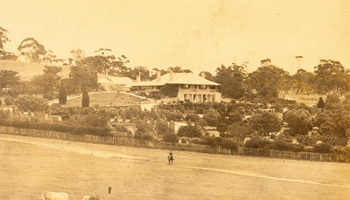 Champion jockey Douglas Whyte rode Akeed Mofeed to the five-year-old’s two biggest victories and reiterated Gibson’s view of Akeed Mofeed as a horse with a gentlemanly nature belying his enormous frame. “He was one of the most beautiful, perfectly conformed horses to look at, and when you sat on him you couldn’t fault him. He was so smooth and fluid underneath you,” Whyte said. “When he was at his peak he was a force to be reckoned with internationally and he was one of the best horses I have ridden. “But the best thing about him was that he didn’t know he was a colt – he was one of the best-natured horses I have ever worked with off the track.